Beyond the galleries, deep behind the closed doors of UT’s hallowed halls, you might stumble upon hidden brains. Or vintage Chanel. 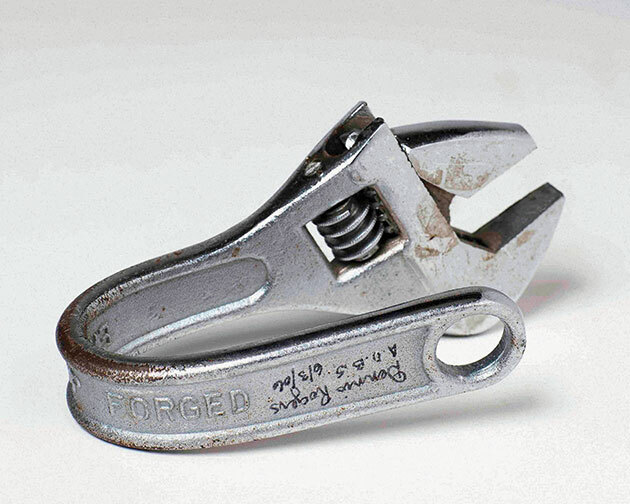 Or an eggbeater patented in 1868. 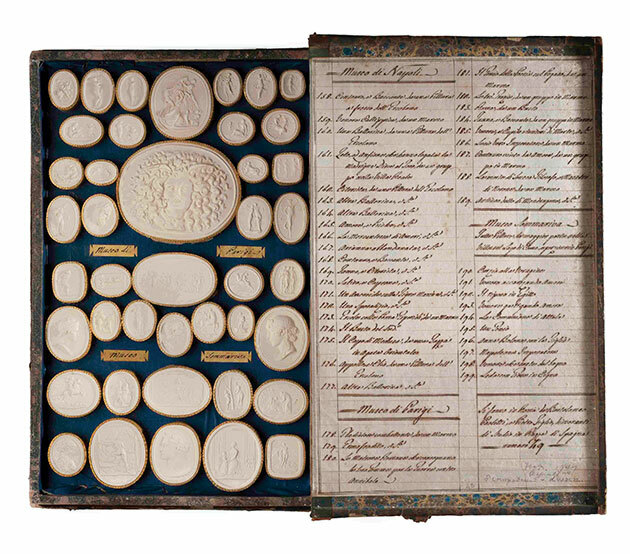 “The secret life of objects at UT,” Andrée Bober calls it, and she should know: She’s spent the last 11 years sifting through 170 million of them. Director of UT’s Landmarks public art program by day, author and artifact wrangler by night, Bober is the editor of The Collections, a first-of-its-kind sweeping guide to 80 fascinating collections and archives found across the Forty Acres. Often tucked away from the public eye, their holdings feature irreplaceable relics and specimens radical in range—from the Gutenberg Bible to freshwater algae samples to the emerald green curtain dress worn by Scarlett O’Hara in Gone with the Wind. The art of collecting was a university tradition long before the Longhorns were called the Longhorns, or Bevo began his reign. On the day the University of Texas was founded in September 1883, the Board of Regents was gifted a plaster bust of former Texas Governor Oran Roberts, sculpted by local artist Elizabet Ney. Today, a marble replica of that bust sits in the Dolph Briscoe Center for American History, one of 40 distinct academic units that oversee the current campus collections. Alongside Bober, more than 350 researchers joined together to document the intricacies, and more simply, the existence, of their repositories. 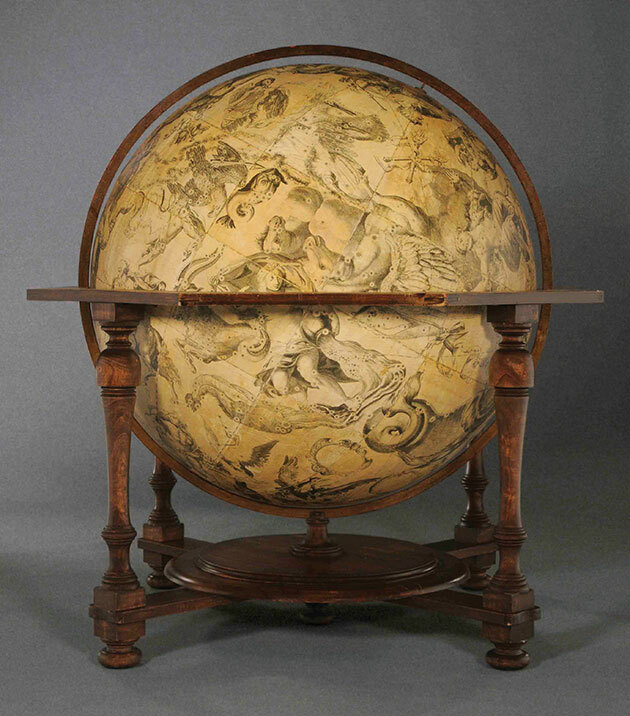 In 1681, King Louis XIV commissioned a pair of globes—one terrestrial, one celestial—by Vincenzo Coronelli, widely regarded as the greatest cosmographer and cartographer of the century. The Harry Ransom Center is one of only a handful of institutions in the world to have a replica pair, and one of only two in the U.S.
On the second floor of Jester next to J2, the John L. Warfield Center for African and African American Studies is dedicated to preserving and studying the history and traditions of Africa and its diaspora. 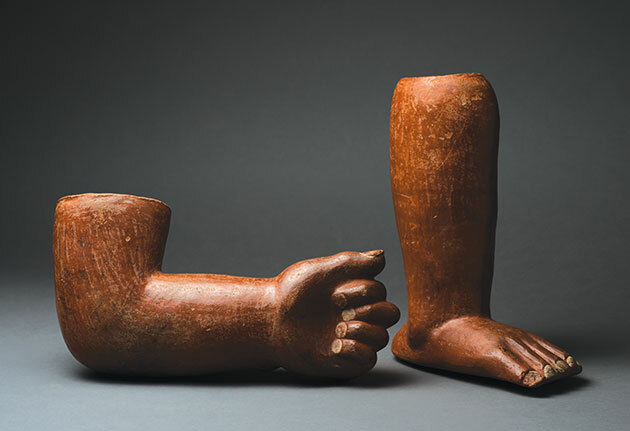 Its art collection, recently acquired from the Texas Memorial Museum, features nearly 1,000 artifacts representing 40 distinct ethnic groups of Africa. 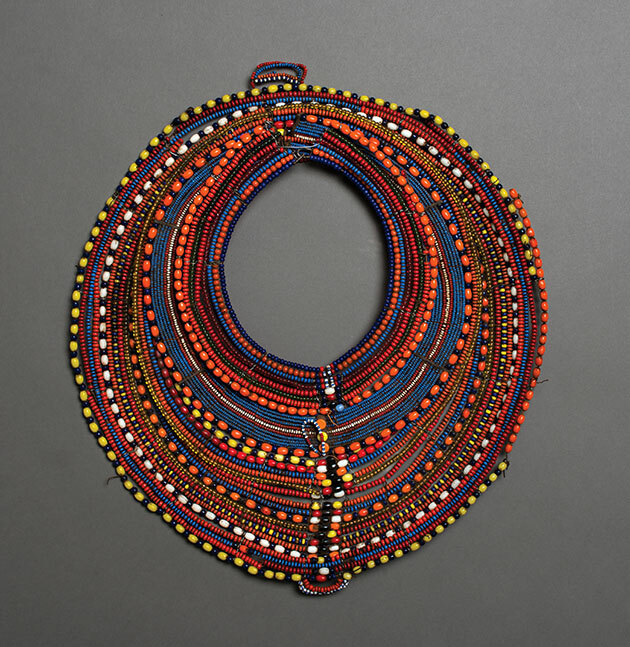 The intricate beading of the necklace to the left, worn by the Maasai people of Tanzania, indicates the wearer’s culture, station, age, and marital status. 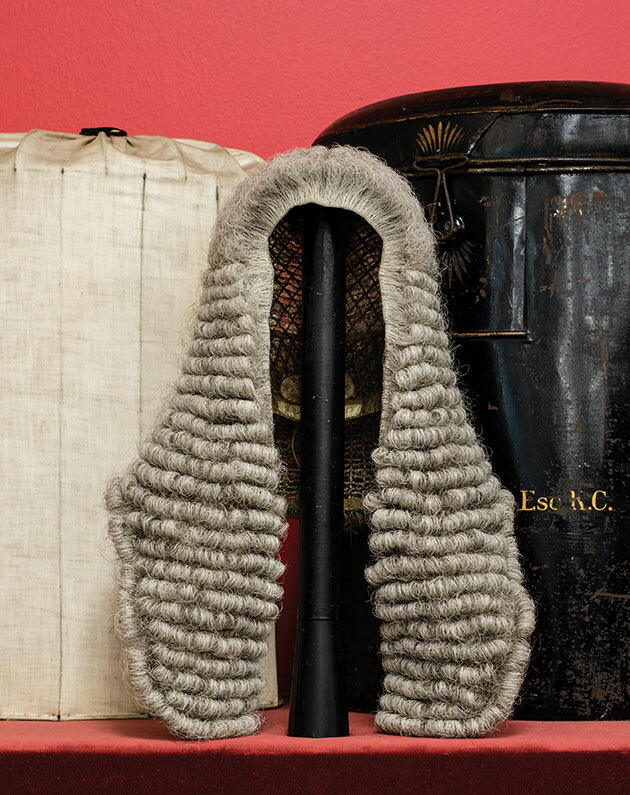 Judicial wigs stem from a larger societal custom of wearing wigs in England and France in the mid to late 1600s, when a full head of hair was the ultimate status symbol amid syphilis and head lice outbreaks. “The higher a man’s status or station in life, the larger his wig—hence the term ‘bigwig,’” says Barbara Bintliff, law professor and director of the Tarlton Law Library and Jamail Center for Legal Research. The owner of this particular wig is presumed to be James Fitzgerald, a politician and King’s Counselor in the late 1700s. Known as thermionic valves outside of North America, vacuum tubes such as this one were essential to the development of electronics throughout the 20th century. With roots in Thomas Edison’s patented “Edison Effect,” these tubes amplify or modify signals by moving electrons around an evacuated space. Until the early 1960s, they were the go-to devices for amplifying signals used by radio transmitters and receivers. 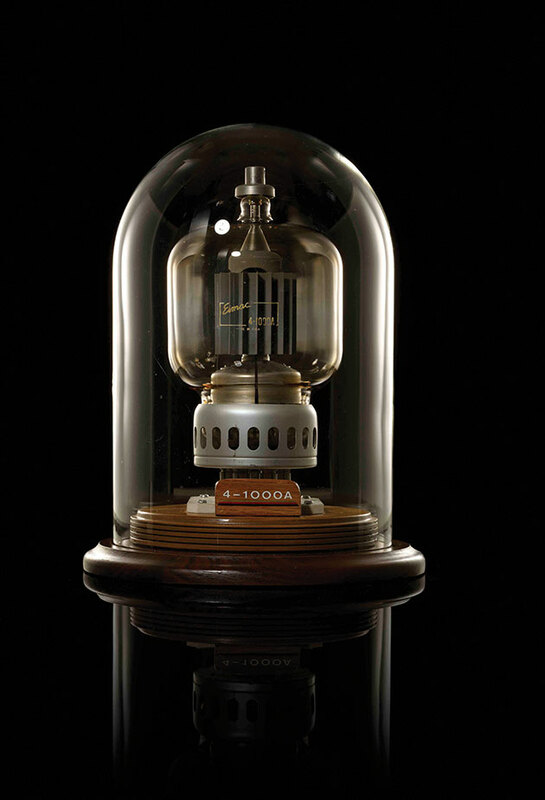 Though they’ve become increasingly rare due to advancements in technology, vacuum tubes can still be found in high-end audio equipment, microwave ovens, and TVs today. With four divisions, 200,000 books, and 17 miles worth of archives, the Dolph Briscoe Center for American History is one of the nation’s leading history centers—collecting, preserving, and sharing its extensive collection with students and scholars in Bonham, Uvalde, Winedale, and Austin. 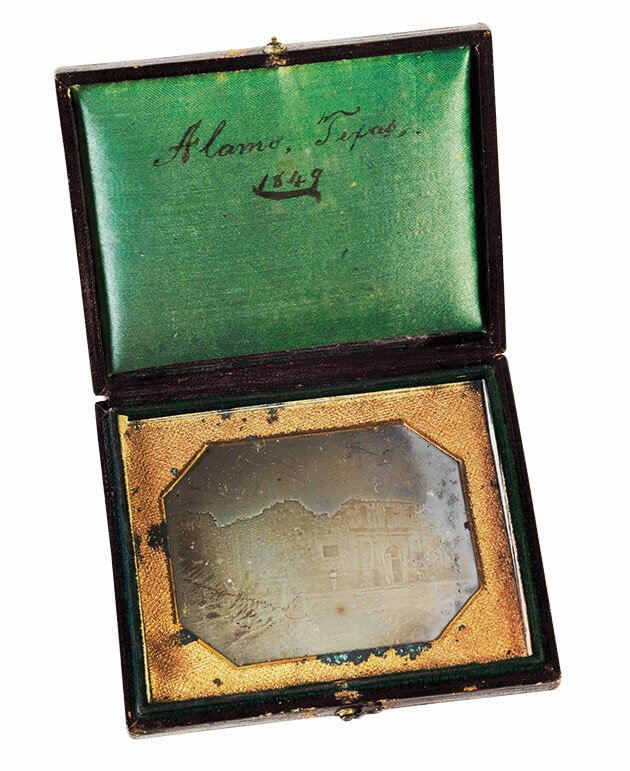 This daguerreotype, taken in 1849 of the Alamo Mission, is the earliest datable photo taken in Texas. It’s the only exterior image of the building before the chapter buildings were reconstructed in 1850. The photographer is unknown. Housed in the College of Fine Arts, the Rob Roy Kelly Wood Type Collection features 160 distinct typefaces that represent a rapid transition from calligraphy to industrialized type in the late 19th and early 20th centuries. Manufactured methods were cheap, reliable, and perfect for posters and broadsides that required larger text. 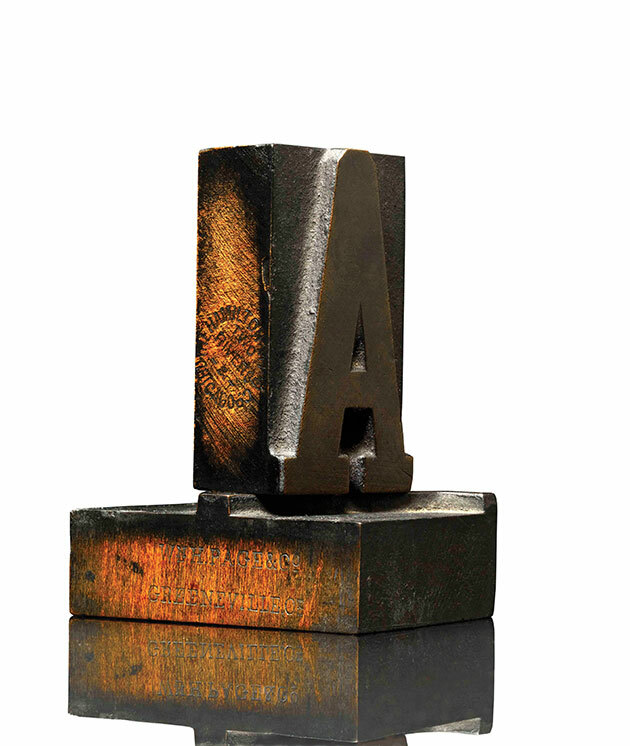 Wood type blocks from this era can be identified by a small imprint on the capital ‘A,’ signifying their company of origin. These typefaces are the work of the Hamilton Manufacturing Company of Two Rivers, Wisconsin, and William H. Page & Company of Greeneville, Connecticut. The Non-vertebrate Paleontology and Geology Lab, now administered by the Jackson School of Geosciences, zeroes in on rare specimens that lack vertebral columns or backbones—more than 4 million of them, to be precise. The study of clams, oysters, snails, and extinct non-vertebrate species is vital to the study of evolution and oil exploration. 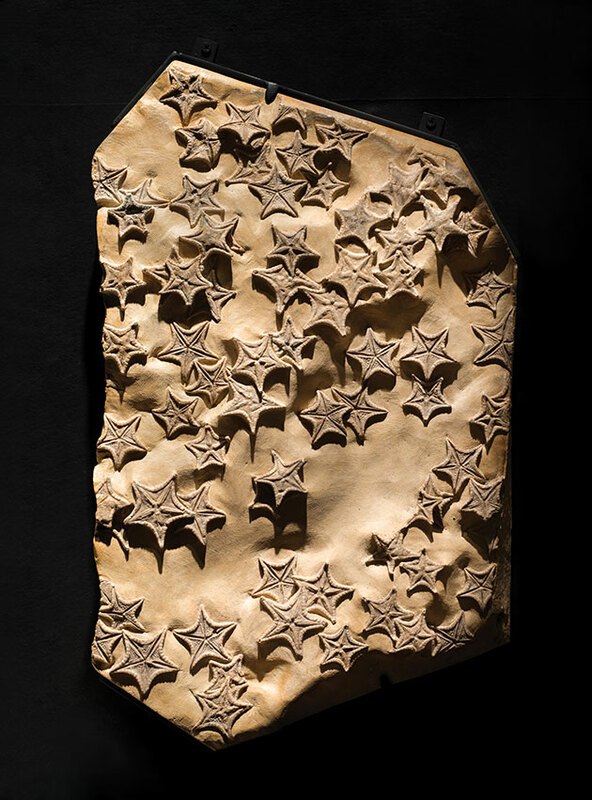 World-renowned for its size and biodiversity, the repository and its holdings, including these fossilized starfish (Crateraster mccarteri), are regularly loaned out for education programs, exhibits, and research. One of the greatest indicators of environmental change is a surprising one: fish. 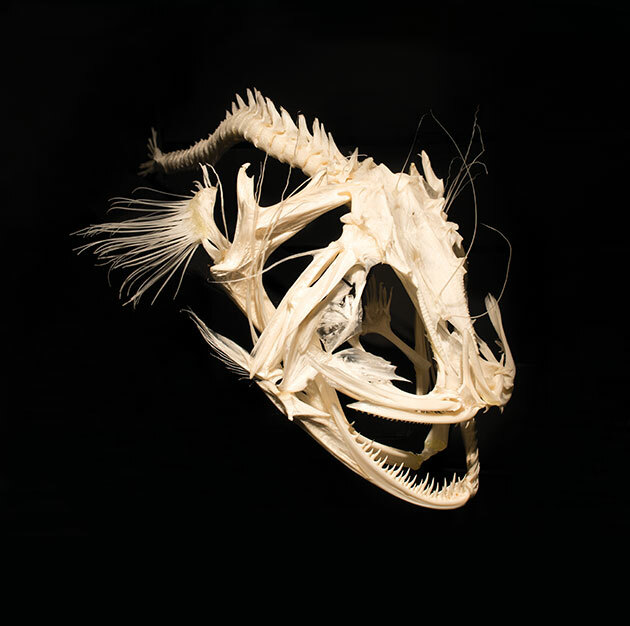 Studying the biodiversity of fish species, both living and extinct, is the primary purpose of the Ichthyology Collection in the Department of Integrative Biology, previously administered by the now-shuttered Texas Natural Science Center. The department’s research on Texas freshwater, marine, and estuarine species has been used by the Texas Parks and Wildlife Department and the United States Geological Survey. This Lophius gastrophysus, or monkfish, can be found in the western Atlantic and the northern Gulf of Mexico. An unexpected contender has emerged in the search for alternative biofuels: algae. Per acre, biofuels made from algae could potentially produce 30 times the energy of traditional crops. 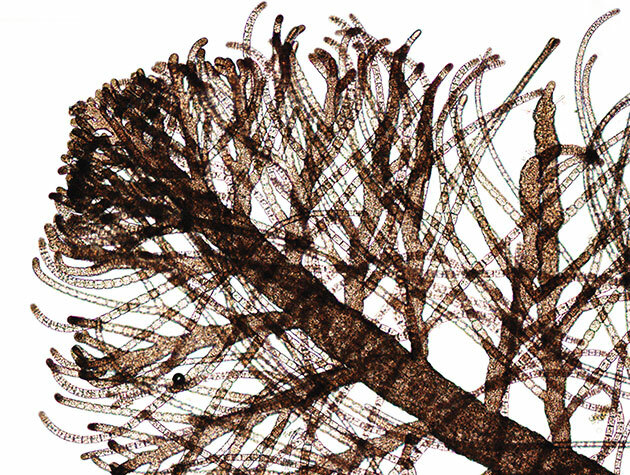 The UTEX Culture Collection of Algae, housed in the College of Natural Sciences, is home to 3,000 living specimens that could play a key role in improving water quality, reducing toxic emissions, and enhancing energy production. 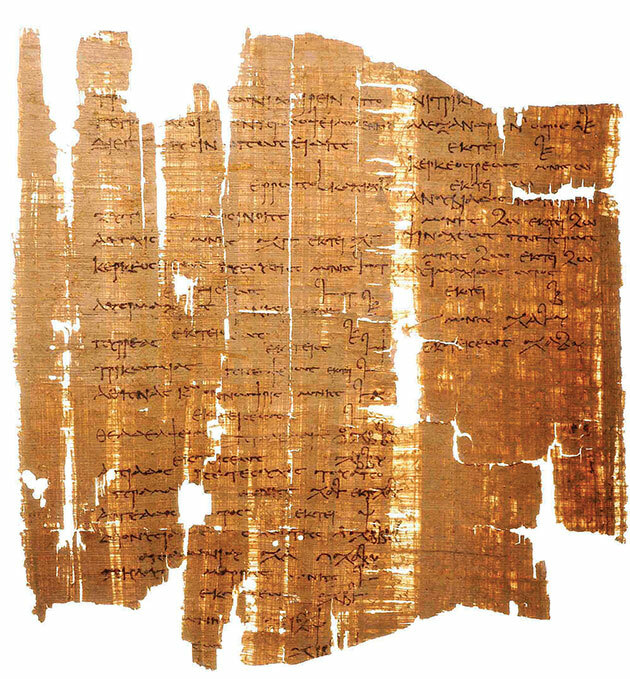 Excerpted from The Collections, edited by Andrée Bober, distributed by the University of Texas Press for the University of Texas at Austin College of Fine Arts, 2016. Photos by Mark Menjivar (6) and Adam Voorhes (3).